Loving someone needs so much sacrifice and effort just to make them happy. There is a lot of things that you can do just to make a special moment memorable, and that is exactly what this guy did, but sadly it did not go well as he planned because his girlfriend did not make it. 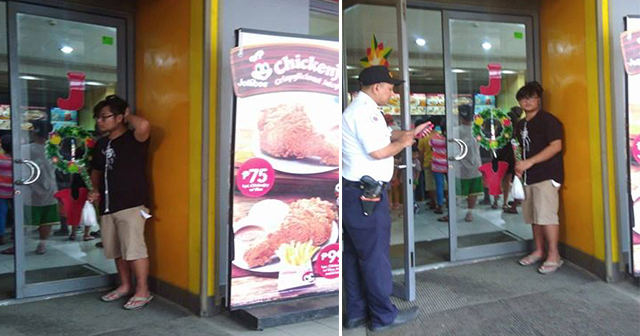 A Netizen saw a guy waiting outside a Jollibee fast food chain holding a rose. 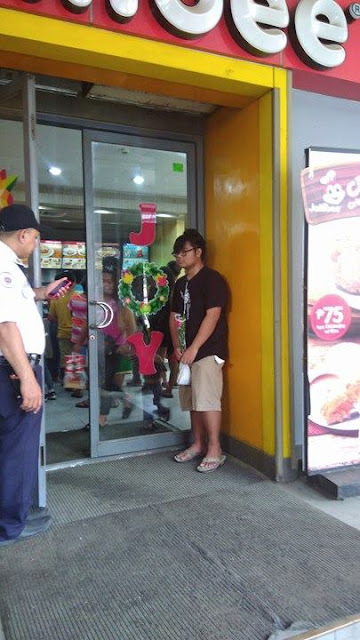 The said netizen who saw him is Christoper Johnlloyd Marcelo Sanchez, he took a picture of this guy and shared on social media. There are a lot of guys who are playing around with the feelings of a woman, but this guy proves that not all the guys out there are bad just what most women think, there is also a guy like him who is true to her love and willing to wait for no matter what. So what are your thoughts about this guy? share us your opinion.